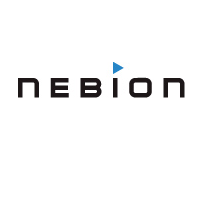 Q1: Nebion AG – although it is a spin-off of one of the most prestigious universities in Europe, ETH Zürich – is not so well known company in the Czech Republic, even among ResearchJobs.cz users. Can you introduce your company briefly? A1: Nebion focuses on providing researchers in academia and industry with simple access and analysis of public transcriptomics data. We curate public data, make it comparable across studies and allow analysis of the whole compendium in an easy-to-use and powerful graphical tool. Our tool, Genevestigator, is used by tens of thousands of researchers across the world. Q2: What is your opinion on the Czech environment for setting up biotech start-ups? What are the main obstacles from your point of view? A2: As a small but established company in Switzerland, it was easy to setup a subsidiary in Czech Republic. We did not face major administrative obstacles. I cannot judge how hard or easy it is to get start-up financing in Czech Republic which is probably the most crucial element. Q3: Why did you decide to set up a subsidiary in the Czech Republic? And not in Poland, for instance (or in a different country in Middle/Eastern Europe)? A3: Due to personal connections to Prague of several team members in Zurich, Prague was on our minds from the beginning of this project. Additionally, Prague has a high density of good universities and it is a very nice place to live. This is important, as it allows us to attract people who are not yet living in Prague. Several of our employees in Prague are coming from other European countries. Q4: The lack of candidates is a general problem of nearly all employers in Czechia. What is the current situation in biotech start up scene in Czechia? A4: So far, we have always been able to fill our positions. And the people who joined are staying. We try our best to make our positions attractive both in terms of the work itself as well as the general working conditions. Q5: What is your perception of quality of Master and, in particular, doctoral studies in biosciences in Czechia (compared to Switzerland and other countries)? A5: In our view, the quality of the education is very high. We are very satisfied with the employees we have hired so far. Q6: Are the Czech PhD graduates well prepared for a career in industrial research in commercial sphere? A6: We definitely think so. In our case, scientific knowledge, a structured working approach and good communication skills are important and these are typical qualities of PhD graduates. The specific tools and procedures needed in a given position can be learned on the job.